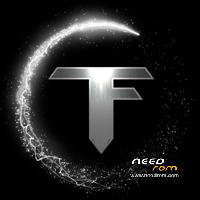 Overview: From the Team Force we bring this new ROM "AOSP 4.4.2 TF". It is characterized, like all AOSP, being a pure Android version, without layers of customization. Enjoy the pure Android experience on your hands. Added in Power Recovery Menu. Deleted the notice of non-SIM. New logo for Team Force. FIRST .. IF INSTALLING THIS ROM STOCK KITKAT V.1 (NEVER THE V.2 OF 24-7) BY SPTOOLS ..
AFTER INSTALLING RECOVERY FOR KITKAT ..
Download ROM and copy it to SD. Wait 5 min. A ROM that is stable. We hope for it to load to 100% and activate AutoUpdater. Install and chose Smart Install. EASY TO CHANGE FROM YOUR CURRENT RECOVERY RECOVERY. JUST COPY THE CTR ZIP IN SD. Your IMEI number is "Unknown" or "Invalid" ? Finally a ROM of kitkat that actually works! Best ROM on here now. Does everything works? Are here also some bugs like the original version? Better than original. This is the real deal. Very good. I’m still testing it. But better than the original for sure. What recovery should I use to install this ROM? TWRP writes "some symlinks are failed"
Could I use recovery CWM 5.5.0.4 (4.2.2) to flash this rom? Perfect auf G5S. Danke. Mit TWRP geflasht. Beste Rom für G4S oder G5S. @Zwickelfritz: thats interesting. I thought, that it is not recomended to install g4s roms in g5s phone. so, i think i will try with my. Excellent ROM!!! Supports Multiple Languages!!! Thank you! Okay, I've tried it. No bugs. This is an amazing ROM. Well done Team Force.You've outdone the original ROM.